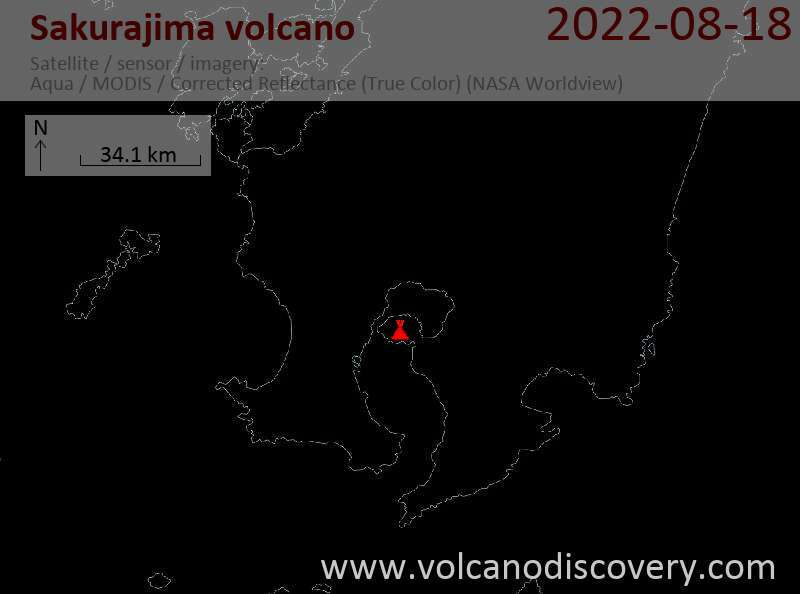 After 10 days of almost no activity, the volcano has woken up violently with 3 powerful explosions last night (at 22:05 and 23:58 UTC, ash plumes to 10-13,000 ft) and this morning at 04:26. The eruption this morning appears to be one of the largest explosions for a long time, producing an ash plume rising to 16-20,000 ft (5-6 km) altitude. An SO2 plume is also visible on satellite data. Tokyo VAAC issued a warning of an ash plume drifting SE at flight level 200 (20,000 ft altitude), s. graphic.